The gyrations of the stock market during the last quarter of 2008 have left many investors skittish. This skittishness trickles down to the financially successful 45-55 year olds, who have seen their net worths go up and down 25+%. Franchisors draw from this pool of people, some of whom may be downsized from their current jobs, and who want to pursue entrepreneurial ventures. The financial institutions are still going through a somewhat rocky period, with a few major banks either getting bailout money, or merging. Until the dust settles, getting a commercial loan for a franchise could be a little more challenging. A great credit score, and low personal debt, will increase the chances of getting a franchise loan. More tips. Our economy should start improving little by little, and we’ll all have to be patient as it does. SKYShades, a franchisor out of Orlando, Florida, is offering to refund the $75,000 franchise fee if new franchise owners don’t hit $1.5 million in revenue, within their first three years. Maaco is promising to buy back franchises from those who have not reached the $750,000 sales level in the first 15 months of operations. CiCi’s Pizza is waiving its normal franchise fee for existing franchisees or managers willing to take on sagging stores that would otherwise shut down. 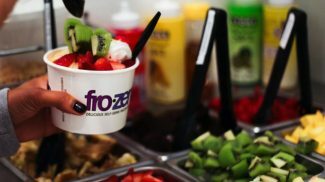 As more and more consumers cut back on their personal expenses, franchise concepts that provide what consumers need, as opposed to what consumers want, will be positioned for growth. The year 2009 may not be about the luxuries. The Regis Franchise Corporation is in the hair cutting business, and in a big way. They currently have six brands that they sell as franchise opportunities, including Supercuts, Cost Cutters, First Choice Haircutters, Magic Choice, Pro-Cuts, and City Looks. Hair grows in good times and bad times, so it is safe to say that getting one’s hair cut (at a very reasonable price) won’t grow out of style. ServePro is one franchise that does not seem to be affected by the economy. Instead, franchises like ServePro, and PuroClean, are affected by the weather. The more it rains, the busier they get. Whenever there is a flood, franchises like these are enlisted for clean-up duties, which include contents restoration, and mold removal. Most of the time, these services are paid for with insurance proceeds. Prospective franchise owners may not be too enthusiastic about investing large amounts of money into their dream businesses, unless their financial portfolios start an upward climb in 2009. Low cost, low overhead opportunities will be popular, and run the gamut from business coaching franchises like OneCoach, and ActionCoach, to other consulting franchises such as Alliance Cost Containment, and Liquid Capital Corporation. These franchise opportunities have a total investment under $100,000. For some home-based professionals, the need arises for things like conference room capability, administrative support, and even concierge services, just not on a full time basis. The answer could be in what is being coined a “Business Hotel.” YourOffice USA offers an array of al a carte services to meet the demands of this growing segment of workers. Consumers are extremely time starved, and are willing to pay for a quality meal that is served quickly, in a clean environment. The franchise segment of quick serve restaurants tends to offer the uniformity and cleanliness that consumers crave. As long as these franchises can keep their menu prices down, they will remain busy. Restaurants that feature food with a Southwest flavor continue to grow in popularity. Part of the reason is that the Hispanic population is growing, and the country’s demographics are changing. Qdoba Mexican Grill, Salsarita’s, Panchero’s Mexican Grill, and of course, Taco Bell, are worth watching. What do these businesses all have in common? The thing that they all have in common is that they all use various technologies, daily. Franchises that can provide things like computer and software maintenance and repair, computer system consulting, graphic design and internet marketing and promotion, should not find it difficult to secure customers. Friendly Computers has been around since 1992, and several others including Fast-teks, and Geeks On Call, are making inroads in several cities around the country. More and more of us are becoming aware of things that we used to take for granted. We are turning off our computers at night to save energy, and are even starting to watch our gasoline usage. The Green industry is a very new one, and the franchise industry is in the beginning stages of a steep learning curve with regard to what type of Green businesses they can start. LEED Certification is one way that a location based franchise like a restaurant can become truly Green. LEED stands for Leadership in Energy and Environmental Design, and is administered by United States Green Building Council, a non-profit trade group that promotes sustainability in how buildings are designed, built and operated. Dunkin Donuts recently opened its first LEED certified franchise operation in St. Petersburg, Florida. In addition to things like energy efficient foam walls that reduce air conditioning costs by 40%, this store also has an on-site Solar Powered Earthworm Casting facility that houses 80 pounds of red earthworms that are “employed” to eat some of the store’s waste products like coffee grounds and some of the paper products. Homeowners are starting to purchase their cleaning products more carefully, to avoid harmful toxins, so if you considering the purchase of a residential cleaning franchise, search out the Green ones. 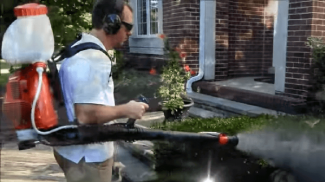 Maid Brigade, a residential cleaning franchisor out of Atlanta, has gone all out with their Green initiatives. They have produced a series of webcasts designed to inform the public about some of the dangers of traditional household cleaners. The Cleaning Authority is another cleaning franchise that is immersing itself in all things Green. With the real estate and mortgage debacle not predicted to improve quickly, more and more homeowners are being forced to stay in their homes, instead of moving up to larger homes. This opens the door to opportunities in franchise ownership that can help people make the most of their current situations. A minor kitchen remodel is likely to not only make for pleasant cooking experiences, but also brings a high return on investment, according to this report. Companies like Kitchen Tune-Up and Kitchen Solvers have been helping consumers spiff up their kitchens since the 1980s. Let’s move from the kitchen and go down the stairs to the basement. Homeowners are getting more use out of this room, and Basement Finishing Systems is a franchise that helps homeowners transform these dark, dingy basements into useable living spaces. While homeowners are staying home enjoying all of these wonderful new living areas, they are using more energy, which doesn’t help the planet, or their pocketbooks. Homeowners need to find ways to keep their heating and air conditioning costs down, and USA Insulation has a unique foam insulation product that can help do just that. The demographic change in our country (and others) is happening right now. The population of pre-retirees and retirees is projected to increase by 30 million by 2020, and to account for about half of the US population, compared to 44 percent in 2002. These retirees will be living longer more active lives. They are going to enjoy themselves. They will be traveling. As our economy starts to recover, the travel industry will too. Look for some of these travel franchises to start getting busy. Home based SeaMaster Cruises offers its franchise owners the buying power of a huge company, The Travel Franchise Group. (formerly, The Carlson Travel Franchise Group) Franchise owners get the technology and training to sell cruises from a wide array of cruise lines. CruiseOne, and Expedia CruiseShipCenters, which offers a retail operation also, are other franchise companies positioned for growth in this sector. This category of franchising can be rather cyclical, but the demographic changes mentioned above play right into these types of opportunities. Some retirees will still want — or need — to work after they reach their retirement age, and will need help finding part time and even some full time jobs. As a franchise owner in this growing sector, you can be the one who profits from filling their job placement needs. DES is a franchisor that has created 7 different divisions to help franchisees place the right people in the right jobs. For over 25 years, Express Employment Professionals, with its 600+ locations, have helped thousands of people find jobs, all over the US, Canada, and South Africa. Snelling Staffing Services is another veteran franchise company, which by 1967, had over 60 offices, and is up to 200, currently. 24-hour fitness centers have been the rage the past 2-3 years. They feature well lit locations with secure pass key entrance, video surveillance, and emergency phone availability, for its members, who pay a monthly membership fee. The franchise owners of these fitness centers have a good degree of flexibility, because they don’t have to be there all the time. They hire part time managers, who are also personal trainers to run things. Anytime Fitness, and Snap Fitness are the biggest names in this fitness niche, but others like Workout Anytime, are entering the market, also. American Bodyworks, a young franchisor out of Georgia, is the first 24 hour fitness franchise to offer a franchise conversion package. In this scenario, the owner of an independent fitness club that may be finding it hard to compete in this highly competitive market, can purchase a package that includes shiny new equipment, and 24/7 access. Jericho, New York’s Personal Training Institute, (PTI) is a fitness franchise that goes beyond convenient store hours. PTI is unique, as it offers one-to-one strength training and customized nutrition counseling for every client. 2009 obviously looks to be a recessionary year. What small businesses typically show growth during a recession? Scott Shane, Professor of Entrepreneurial Studies at Case Western Reserve University, recently shared some data concerning that question, in this article about recession-proof small businesses. Whether or not the three business types above will show growth during this recession is anyone’s guess at this point. Sometimes history repeats itself. We’ll know by next year at this time, if it in fact will. Joel, great insights! Thanks for such a detailed, well-researched piece. One other thing I’ve noticed is a lot more virtual assistant firms and outsourcing firms that outsource to offshore labor. I wonder how long it will be before those become franchised? Probably not in 2009, but an interesting trend…. Joel, I’ve been super eager to see your latest Franchise Trends!!! Very cool. I’ve seen what Anita points out as well. There’s a Virtual Assistant Network entrepreneur that I know — we could ask her what the scoop is, if you like. I’m getting to the place in our economic situation and media hype that I think Entrepreneurial ventures (either fully new concepts or franchising, in this case) is like Real Estate — it is incredibly local. You can have one thing, one market, busting at the seams in profits and another is languishing. I think the cautious optimism is necessary, but not a downer (and I don’t think you’re saying that, Joel). I read your Trends last year as I was evaluating the Online Staffing solution from Shiftboard and whether I wanted to be part of that company. Your comments alone started me looking at whether I should start a staffing agency — either from the ground up with a franchise or alone. Thanks for all the knowledge sharing, Joel. We need to get the word out to more people that you’ve posted this terrific article. There are a lot of people who do have the cash to invest in their own venture and take control of their destiny. So, let’s Tweet about this one. Great List Joel !! I really appreciate your efforts.Thanks for sharing such a useful information. Lots of interesting info listed here. I still can’t get over the blurb you mentioned about Dunkin Donuts. I was amazed to hear that earthworms will eat the waste. This sounds like a really good idea. Do you thing other restaurant chains will follow in their steps? Is there enough revenue and net profit to sustain it as a franchise model? Happy New Year to all the Small Business Trends readers! It is nice to see another realist. The spin gets kinda boring. “…evaluating the Online Staffing solution from Shiftboard”. We love it. Shiftboard has removed a *ton* of the pain that my partners and I had (for years! ), associated with starting and running a daily staffing business because it automated us and allowed us to establish a somewhat virtual daily coverage staffing and recruiting service. It’s become our primary communication portal for all of our healthcare clients and providers (Pharmacists and Nurses) in the Southeast. Anybody with hard-won knowledge will tell you that most staffing (not just recruiting) businesses have multiple “tiers” of development and growth — many will grow to 10-50 workers/contractors with a lot of telephone calls, faxes, etc., but very few can really scale beyond that size without automation. This makes it very tough with the founders/partners are also still staffing shifts when resources get tight. While starting a local franchise from a larger parent might help for sales, business planning, marketing and recognition, at the end of the day, the same workload applies. The U.S. is becoming Hispanic. Just don’t get me started on becoming bilingual. That is a HUGE mistake. Young people need to fit in, and that includes learning English. Anita: I agree with you regarding one primary language. English first, then it is a great extra plus if you know another language or more. In my case, Swedish, English, and I could read and understand German pretty OK. I will try to learn a special artificial language called Interlingua which is based mainly on the Romance language derived from Latin. I miss the Food Channel! Is Southwest food inspired by Mexican cuisine? Is it hot & spicy? Thank you so much for your great comments, and insights. And yes, more people need to know that they, too, can be their own bosses and try to build some real equity for themselves, and their families. According to Entrepreneur Magazine, Subway is doing great! But seriously all this talk of SW food is making me hungry. Thanks for the link. It was interesting reading. It was fun to read about Fred DeLuca’s Italian heritage and how picked the name, Subway. I glad to see that they are doing great. Very smart to get feedback / “feedforward” from the individual stores, e.g. regarding perzonalized rebate coupons. So, when do you think Subway will surpass McDonalds? I am getting hungry too. I have to test Chipotle when I am visiting USA again. I love hot & spicy food. Very interesting. Most fascinating to me was the information on the aggressive tactics to fill the pipeline (by Maaco, Skyshades and Cici’s Pizza). I can’t remember hearing of those kind of tactics in previous recessions. I hope other restaurant franchise chains start thinking about greener pastures.. I don’t know if Subway has the legs to surpass McD’s Martin. 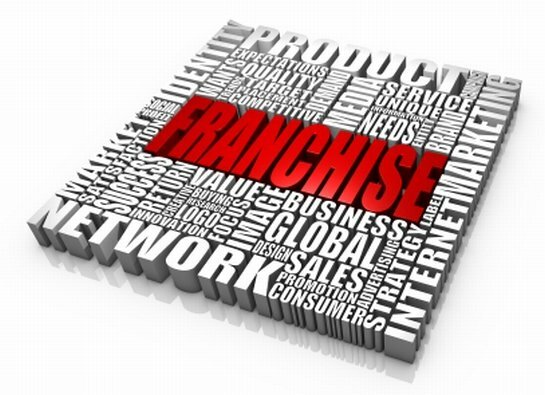 I never really thought about how many people were employeed by franchises, that is very interesting…. This is a big part of the economy!!! I would definitely agree with a few of these. The one that really caught my eye was #7. There are a lot of franchises now that focus on keeping your home for the long run. As the “aging in place” movement gains momentum. I think that there will be even more of a move towards franchises that focus on in-home services. Now that 2009 has come and gone, and we are almost done with 2010, do you think you were correct in your “cautious optimism” prediction? 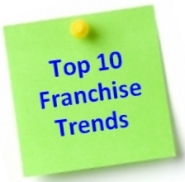 It’s 2012 and franchise businesses are still a hit. Every major fast food store allows franchises and in coffee shops. This proves that franchising as a business model is a working business model.